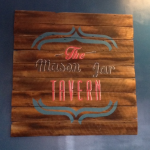 I am so excited about one of Holly Springs newest restaurants; The MASON JAR TAVERN. I have been there 3 times in the last few weeks and I never go out to eat! There are way too many items on the menu I am dying to try like the Pimento Cheese Shrimp and Grits, Chicken and Waffles and the S’more in a Jar. 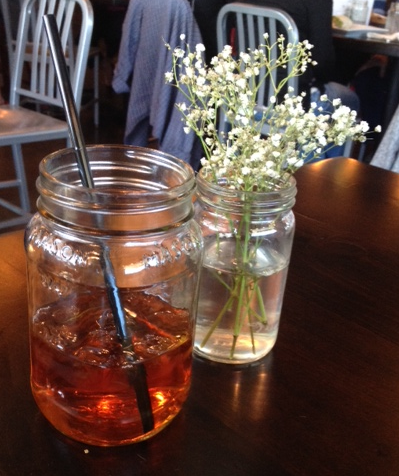 The Black Bean Tacos and Pimento Cheese Sliders were delicious! I even got two meals out of the Turkey Delicious Melt. Every meal has been prepared with the freshest ingredients and the service has been delightful. 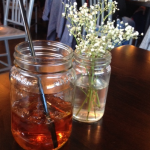 With an outside patio area and a well-stocked bar, what a fun dining experience for date night or take the family! Tell them Front Porch Realty sent you.